Our Track Race Team knows they have it good, wedged between the Encino Velodrome and the only true indoor velodrome in the US, the VELO Sports Center in Carson. The Track Team foregoes the bulk of the traditional race reimbursement model that drives so much of amateur cycling race support, and has instead directed its funding towards initiatives like free new racer velodrome certifications classes and title sponsorship of omnium racer series at both local velodromes in order to support and promote track racing for all track racers in the area, no matter what team they race for. If you are interested in racing for the Track Race Team, please reach out to our Track Captain Zach LaBry. Joe considers himself track sprinter, although he has been known to do an occasional road race or crit. Joe's skills make him uniquely suited to race to any coffee or donut establishment. Joe holds the world record in the Donut Kilo. Born and raised in Sydney, Australia, Danielle moved to the US during October, 2005. For the last 12 years she has made Los Angeles her home and La Grange has become her family. Danielle took up racing 4 years ago and has a passion for technical criteriums and track racing. A sprinter at heart, she also loves a fast downhill but avoids climbing as much as possible. 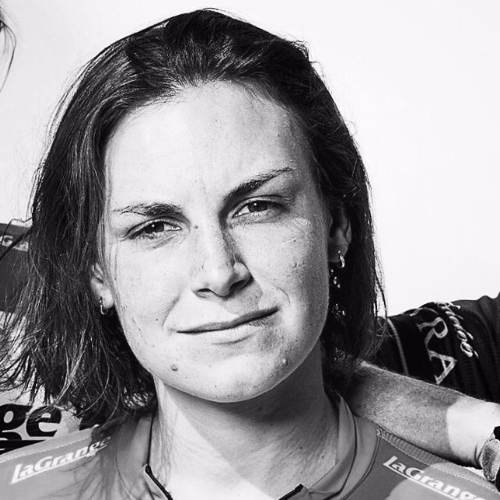 As captain of the Women’s 3/4/5 team for the last 2 years, some her proudest moments aren't necessarily standing on the podium, it's encouraging new racers and building a team that respects and cares for each other on and off the bike. Daniel is a sprinter on the road who also does track, focusing on becoming an omnium rider/sprinter. His first major success was finishing third, along with his teammates, in the team sprint event during the Jr. National Track Cycling Championships back in 2015. Since then, he has been on several podiums both on road and track and is currently riding hard to gain more. Kate Wymbs is an endurance trackie and road racer with a passion for team tactics and a collegiate cycling background. Her favorite bike related activity is convincing everyone and anyone to try team tactics on the road and try riding and racing on the track. Fun fact, after graduating, she only applied to jobs near velodromes. Her favorite track event is the Madison and her mantra is: "Every race is a game and with your teammates and your wits, you don't have to be the strongest to win!" Ari has been a La Grange member since 2014 and is an active racer on the La Grange Development Junior Team. He is currently a Cat 4 cyclist well on his way to becoming a Cat 3, and specializes in road races and going up hills due to his small but mighty stature. He is truly honored to be on the board of directors representing the members of Los Angeles largest cycling club. Mimi is a long-time La Granger (since 1989! ), former Board member and editor of La Voix for seven years, back when you got it in the mail and it was fun to read. While never a super star bike racer, she has managed to somehow win 5 Bear jerseys over the years, in mountain biking, masters crits, team time trial and masters road racing. Her goal is to be a good teammate and help her teammates win a few Bear jerseys of their own. She admits she’s better at training than racing, and loves fast training rides like Montrose and Rose Bowl. She mostly just loves to ride a bike, and has ridden all over Europe and even in China.